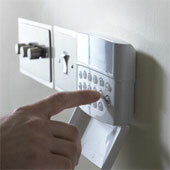 Key Systems based in Portsmouth was formed in 1999, becoming Key Systems UK Limited in 2007, providing a sub contract installation service for fire and security companies. If your project requires the highest levels of attention you can rest assured of our sound management throughout every stage we are involved with. To assist with any O & M manuals we can provide as fitted drawings in AutoCAD format. We can work on an hourly rate or give you a detailed quotation for your proposed work. We can supply labour only, labour cabling and containment, or provide all equipment required, which may include helping with design, specifications, 2nd fix materials, commissioning and handover. We are based in Portsmouth and have a large call-out area, please take a look at the map below to see if we will come to you – not sure, just ask.